Trump will be in Minneapolis, Minnesota on Monday - Tax Day - for a MAGA rally where he’ll trumpet the GOP tax law. Throughout this tax season, Americans expecting a big tax cut promised by Trump and the GOP got the opposite - a tax increase. In fact, so far tax refunds are down this year by $6 billion. And we’ve learned from the Center for Public Integrity that the number of big companies that pay zero taxes -- that’s right, zero -- have gone from 30 to 60. And the middle class got peanuts. But the GOP doesn’t care. They got what they wanted -- tax cuts for their rich friends and campaign contributions in return. 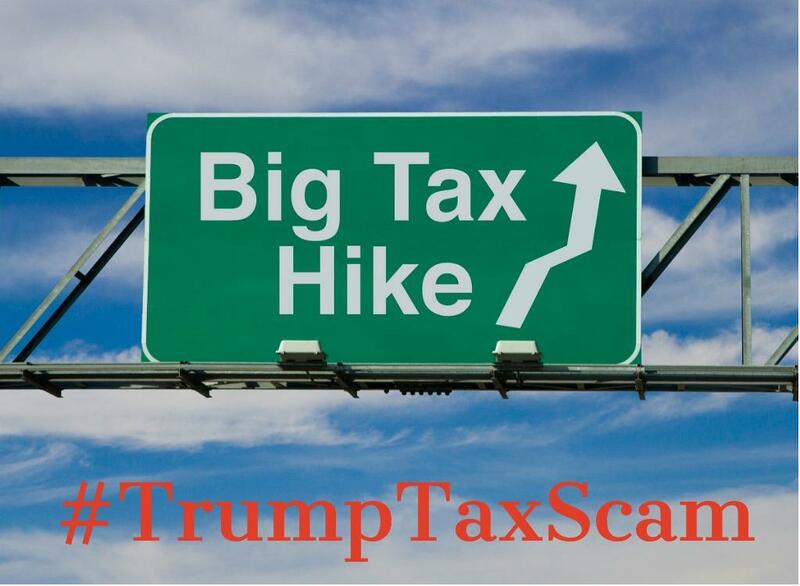 We want to send Trump a message from all of you that got sacked with a tax increase when he lands in Minnesota on Monday. Tell us - did your taxes go up this year?